Doi Inthanon looms higher than all other Thai mountains. 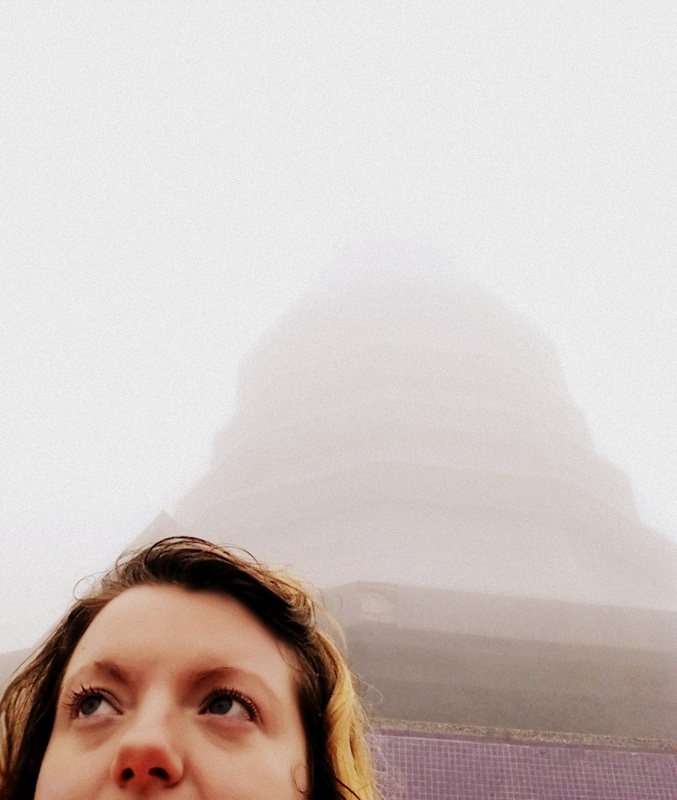 It's such a super amazing adventure to drive to the peak! 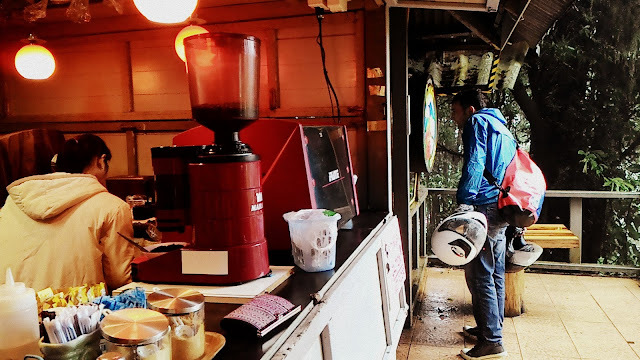 Thai people love to drive to the freezing(ish) peak of Doi Inthanon to experience phenomenons such as shivering, wearing ear muffs and warming their hands on cups of hot coffee. 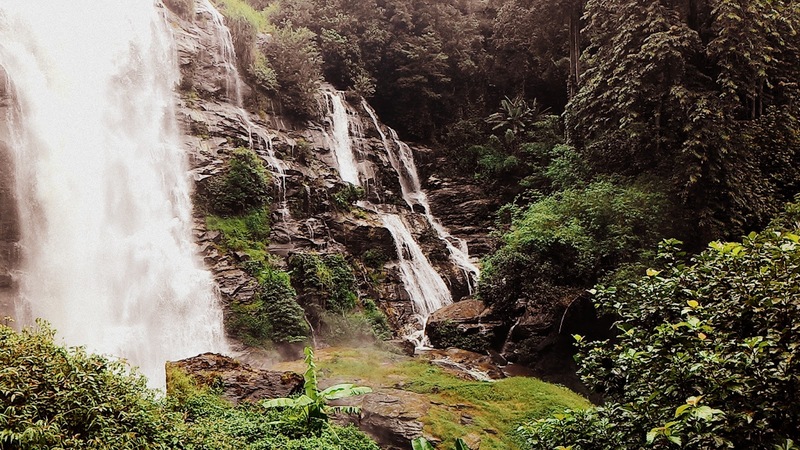 A journey up the slopes of Doi Inthanon reveals a mosaic of changing forest types, each one preferring a specific combination of elevation, soil, temperature and humidity. 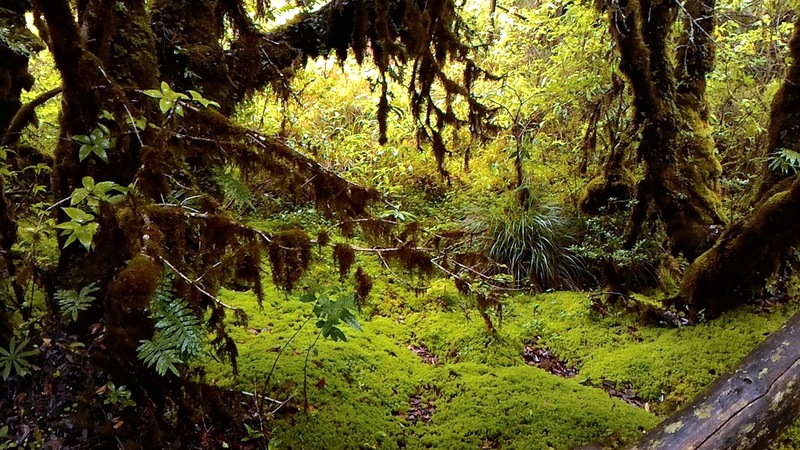 The plants, flowers, mosses and trees that make up the 'cloud forest' of Doi Inthanon are the same species as grow on the slopes of the Himalayas. I'm in love with the way the mist swirls around me, making me feel like I'm in a dream. It takes about an hour and a half to get to Doi Inthanon on a motorbike from Chiang Mai. There's a map at the bottom of this post. 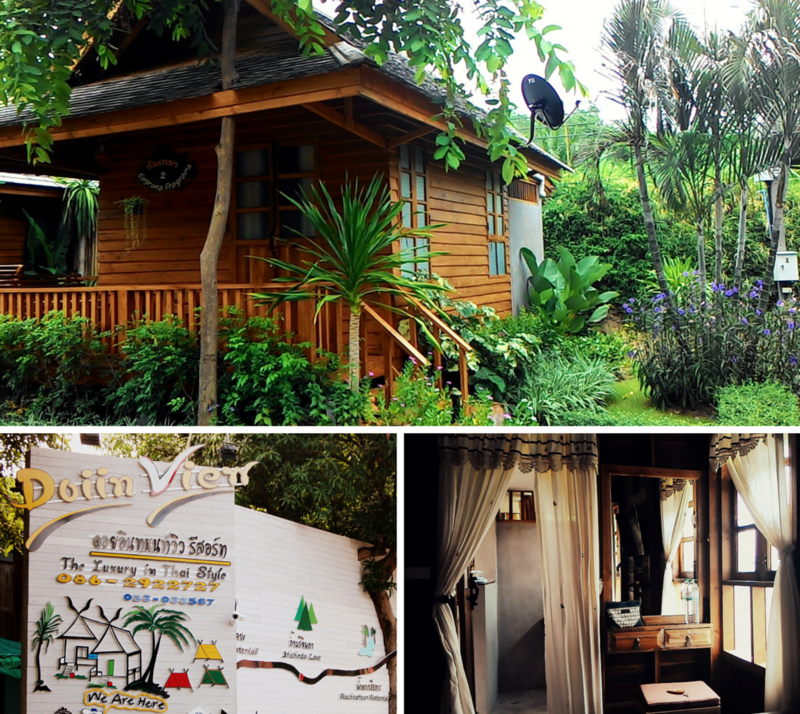 We stayed at the lovely Doiin View, a stone's throw from the entrance to Doi Inthanon National Park. I definitely recommend staying here the night before your Doi Inthanon adventure, so you can get an early start and beat the crowds. After, we drove to the Park entrance. We have work permits, so the total cost for us both was 120 baht. If you don't have a work permit it will cost about 200 baht per person. 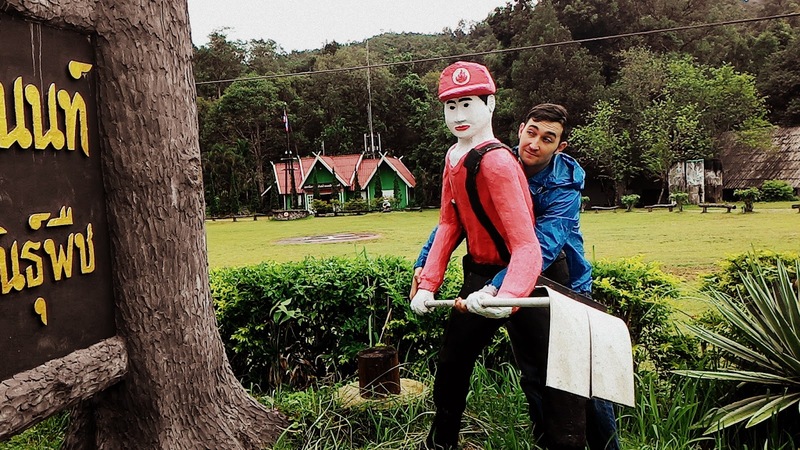 We kept our eyes peeled for roadside attractions as we drove up the mountain. On the way up, we stopped off at loads of things. It was freaking freezing. I couldn't tell if it was drizzling, or just soooo misty, and our eyelashes and eyebrows were covered with dew drops. The mist certainly made driving feel adventurous. My favourite experience of the day was the mini-walk at the top of the mountain, where I discovered that I *love* sphagnum moss! It holds more than 8 times its own weight in water, and can stay wet long after any surrounding soil has dried out. 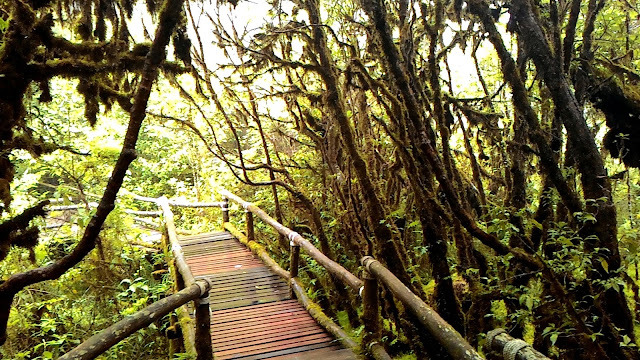 At Doi Inthanon, it blankets tree trunks, areas of soil and the railings of the trail. 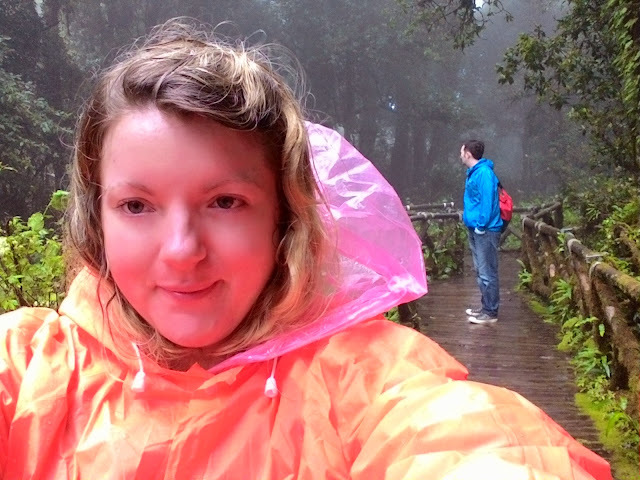 It's so soft and spongy, and the bright green colour in the dark misty cloud-forest is just spectacular. 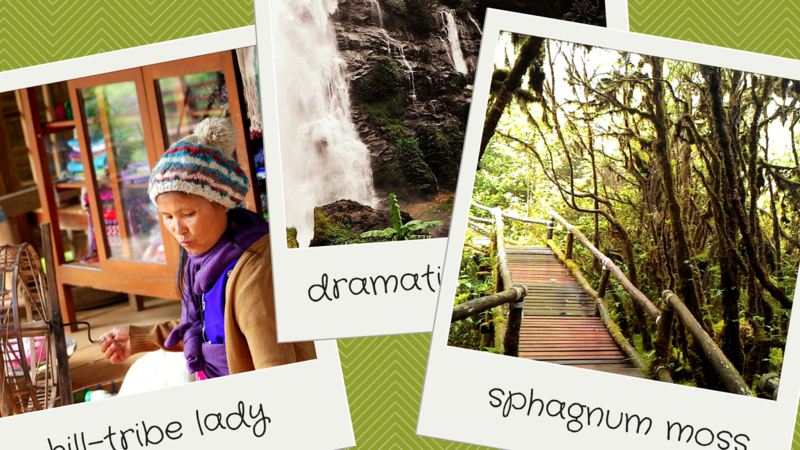 The Sphagnum Moss trail begins just over the road from the coffee shack at the peak of Doi Inthanon. There's another little trail on the same side of the coffee shack. It leads to a shrine where the bones of King Phra Chao Inthawichayanon are buried. He wanted to be buried here because he loved the mountain so much. It shows how to get to Doi Inthanon from Chiang Mai, where I stayed at Doiinn View and the stops I made on my journey up the mountain. If you want to see some real-life hill tribe villages, just drive up a few of the roads to nowhere and you'll find them!